Chandra :: Photo Album :: Where is the Universe Hiding its Missing Mass? 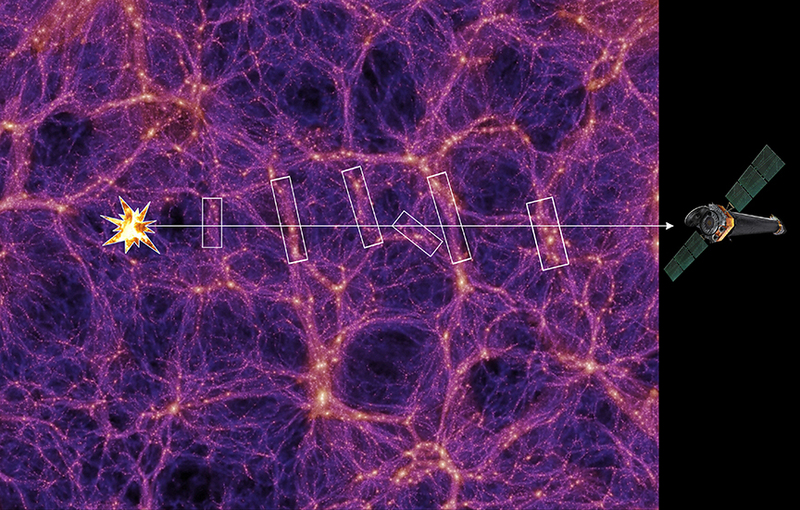 More Images of Where is the Universe Hiding its Missing Mass? Astronomers have used Chandra to possibly identify the location of a third of the hydrogen, helium, and other elements that were created after the Big Bang, but has so far been unaccounted for in the present-day Universe. 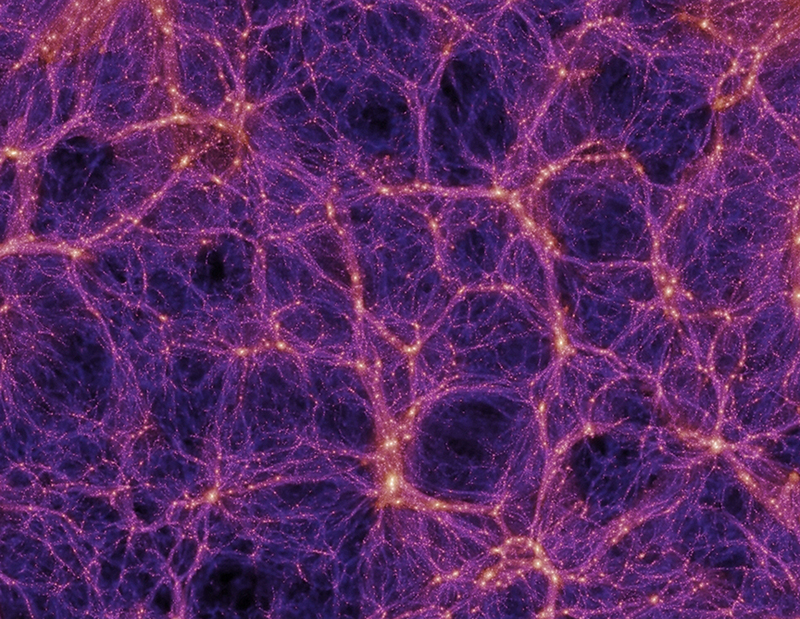 This "missing mass" may be in large filaments of warm and hot gas known as the WHIM. The plot on the left shows the signature of how X-rays from a distant quasar have been absorbed by gas in these filaments. 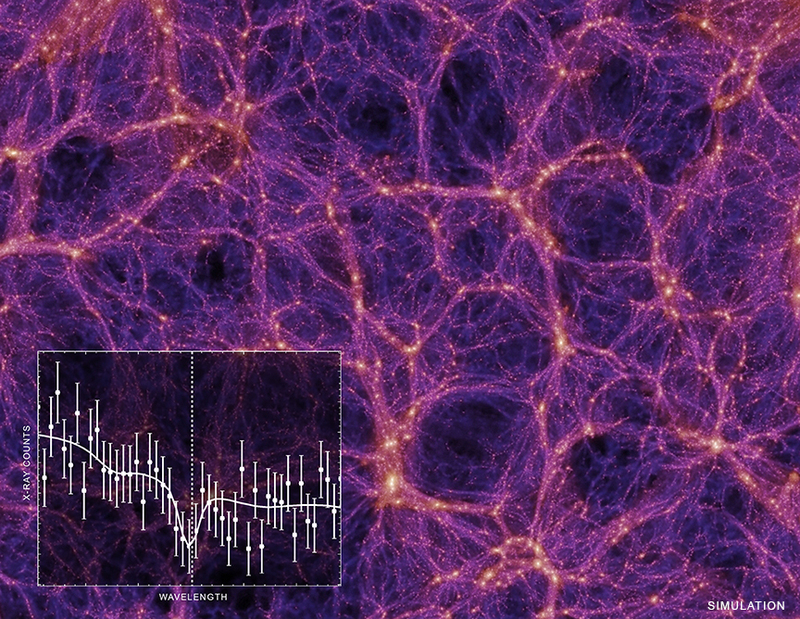 On the right is a still from the Millenium simulation that formulates how key components of the Universe, including the WHIM, evolved over time.